Whether it’s a gala or a webinar, let’s drive increased interactions before, during, and after for the most productive event EVER. Chainlink appreciates the great efforts you put into planning a great event. Let’s make sure that your target audience knows about it, and you can engage with your customers throughout the event. Whether it be Pre-Event planning & growing your event’s awareness, During Event marketing touch points to drive engagement, or Post-Event follow-ups and nurturing, Chainlink can help with the overall digital strategy and execution to make your next event the best one yet. Chainlink Relationship Marketing takes a strategic approach to driving the highest attendance for your event as possible to maximize your opportunities for success. 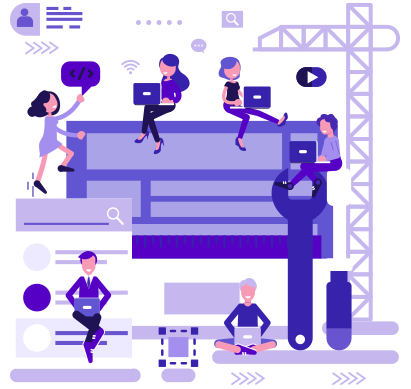 Chainlink’s team will make sure your website has a dedicated, optimized area for promoting the event and selling tickets, and assist in the development, design, and format to share the event’s highlights, its detailed agenda, and all other relevant information to build up the hype. Chainlink’s social media team focuses on creating the event’s Facebook page and generating a buzz about the event across platforms, including developing easy social share buttons for your event page to spread awareness. We can also build custom-designed, fully optimized forms and landing pages on your website specifically for the event. Our goal is to help you make your event a lead generation machine from the get-go. We closely track sign-ups and landing page interactions from the beginning so you can build your list in the best way possible. Our team is capable of highly personalized drip email campaigns that we can deploy using our proprietary Chainlink Marketing Platform. By sending personalized automated reminders before the event, you’ll create a unique experience for attendees before they even arrive for the event. Engaging with attendees while the event is in action is a huge key to your marketing success. Chainlink Relationship Marketing empowers digital interaction as a seamless part of the event experience for attendees, enabling social media to create a positive experience for attendees both in-person and online during the event. Chainlink’s experts prioritize your attendees’ experience by closely monitoring their social media activity related to the event and responding to them in real time. We encourage audience feedback and participation using real-time tweets/posts using the hashtag we create for the event. Using the Chainlink Marketing Platform to power triggered emails during the event to guide or remind attendees about aspects of the event while they are participating. The overall online buzz generated about the event is powerful because it raises awareness about your company and your future events. 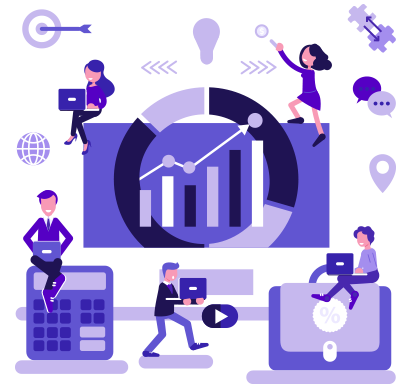 When the event is over, Chainlink provides advanced analytics to help understand which marketing touchpoints made your event successful and which have room for improvement so you can create the best possible marketing campaigns in the future. Chainlink creates advanced email automation campaigns to re-target satisfied event goers with messaging about future events and to promote sharing with friends and re-engage those who have lost interest. Through post-event email surveys and follow-up messages, we’ll help you extend interactions, paving the way for even better attendance and customer interactions at your future events, and most importantly, leveraging the valuable business leads and insights gained via your event to grow the top of your marketing funnel. Whether your event is a conference, webinar, or other lead generation oriented event, you’ll want to conduct attribution analysis to calculate your ROI. Chainlink’s event marketing team can help you determine your number of event-generated leads that converted to customers. 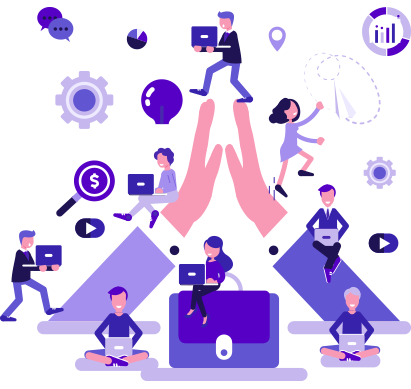 Using the Chainlink Marketing Platform makes it a seamless process to properly attribute revenue to its marketing source or touch and avoid the headache of manually organizing your leads to figure out where they came from and how many converted. Through advanced data analytics, you’ll be able to much more accurately forecast future event attendance and budget spend. 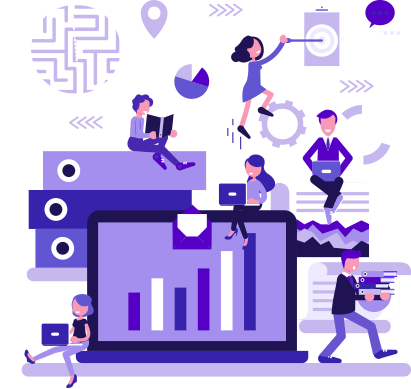 Chainlink provides streamlined data collection while improving your ability to accurately measure and attribute your ROI. Chainlink has succesfully helped client grow their events over the years, so we’ve compiled our successes and features that have driven client results into The Ultimate Guide to Event Marketing in 2019. Please have a read to follow all the steps for the key features. Ready to Digitally Market Your Event and Grow Attendance?